I don't know how it was for all of you, but June seemed to fly right by. Our July singings are upon us! July 5-7, will be the Annual Shape Note Singing in Mountain View, AR. Here are Mountain View Maps to the Ozark Folk Center Gathering and Saturday, and the July 7th Schedule. Sunday, June 8th (this Sunday!) is our regular 2nd Sunday singing at the Shiloh Museum of Ozark History. We'll meet in the historic Shiloh Meeting Hall that opened last weekend. As per usual, we'll meet at AQ Chicken at noon for lunch. We had a good group and a wonderful time singing at the Shiloh Meeting Hall Grand Opening, both before and after the presentation. 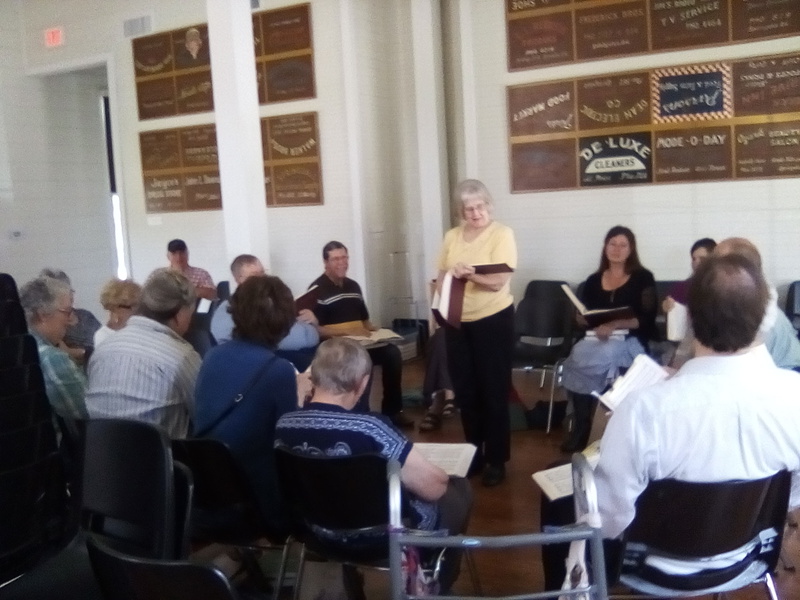 We have reports that many of the attendees enjoyed their exposure to Sacred Harp and inquired about it, and many of those who had encountered it before let us know how much they enjoyed a re-introduction. Several people told us about their memories of singing Sacred Harp with family or in Primitive Baptist Churches as children. Hope to sing with you soon!